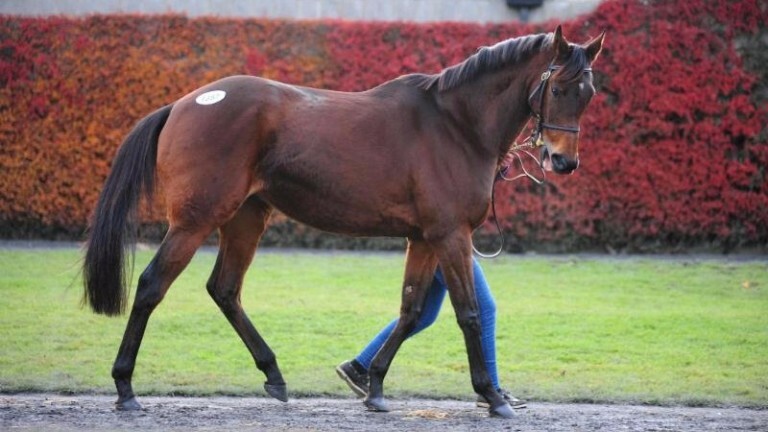 Many British breeders were bitterly disappointed when Champs Elysees and Mount Nelson, both decent but inexpensive sources of useful Flat performers, were sold to continue their stallion careers across the Irish Sea this season. But covering numbers reveal why their reinvention as dual-purpose stallions in Ireland made commercial sense for their previous and present owners. Champs Elysees, who made the move from Juddmonte's Banstead Manor Stud outside Newmarket to Coolmore's Castle Hyde Stud in County Cork, was welcomed to Ireland with a book of 248 mares having received 54 in Britain in 2016. Two names among that bulging book illustrate how the sire of Gold Cup hero Trip To Paris is held in high esteem by mare owners breeding for both codes: Sandbox Two, the dam of 2,000 Guineas runner-up Glory Awaits, and Legacy Gold, a Grade 1-placed hurdler bought as a jumps breeding prospect for £100,000. Mount Nelson, meanwhile, was visited by 222 mares at his new home of Boardsmill Stud in County Meath, up from 22 at Newsells Park Stud in Hertfordshire in the preceding year. Again, a very selective choice of two members of that group provide a snapshot of how he has a foot in both camps. One of the top jumps mares he was sent was Dusty Too, the dam of Simonsig, while among the talented Flat producers he was granted was Grizel, responsible for dual Grade 2 winner and multiple Grade 1-placed Whatsthescript. Mount Nelson's book also included, of course, Grade 1-winning hurdler and Listed-winning Flat performer Airlie Beach, sold for €140,000 at Tattersalls Ireland on Friday. There have been numerous reasons this year to call Dark Angel one of the very best young stallions in Europe: Harry Angel's convincing victories in the July Cup and Haydock Sprint Cup; the blistering speed shown by Battaash when he won the Prix de l'Abbaye; Persuasive beating the colts in the Queen Elizabeth II Stakes; and a yearling sales average in excess of 150,000gns with four changing hands for prices north of 500,000gns. The statistics associated with Dark Angel's action in the breeding shed at Yeomanstown Stud this year confirm he is now dining at the top table. 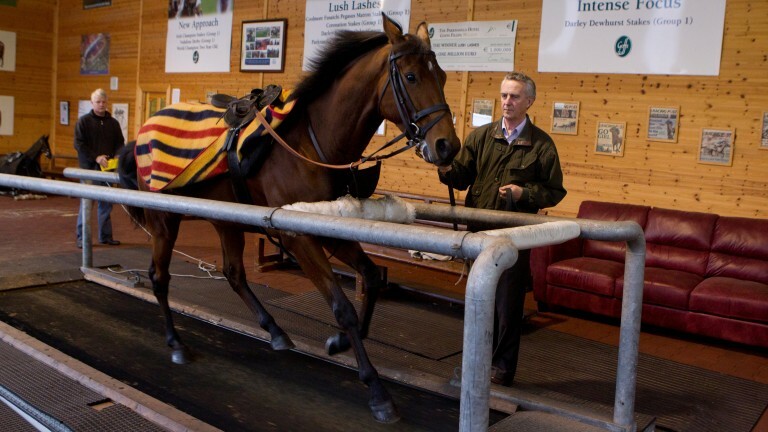 The son of Acclamation covered 223 mares, with real strength in depth to his book. Commanding a career-high fee of €65,000 – which has been increased again to €85,000 next year – he was sent 35 Group-winning mares, up from 21 in 2016 and ten in 2015. Those Group winners included Agnes Stewart, Anthem Alexander, Integral, La Collina and Wizz Kid, while he also covered the dams of Arcano, Chriselliam, Ervedya, Giofra, Havana Gold, Lilbourne Lad, Slade Power, Suedois, Teofilo, Total Gallery and Trip To Paris. The mothers of two of Dark Angel's previous stars, Harry Angel and Lethal Force, also made the return trip, while mares like Pacifique – Ecurie des Monceaux and Skymarc Farm's dam of Parabellum, at €2.6 million the most expensive yearling sold at Arqana – and American Spirit – a Rock Of Gibraltar half-sister to Authorized owned by US celebrity chef Bobby Flay – illustrate the high regard in which he is held internationally. It is a very bright future indeed for Dark Angel. Has a stallion's book ever contained such a high proportion of mares by one sire? 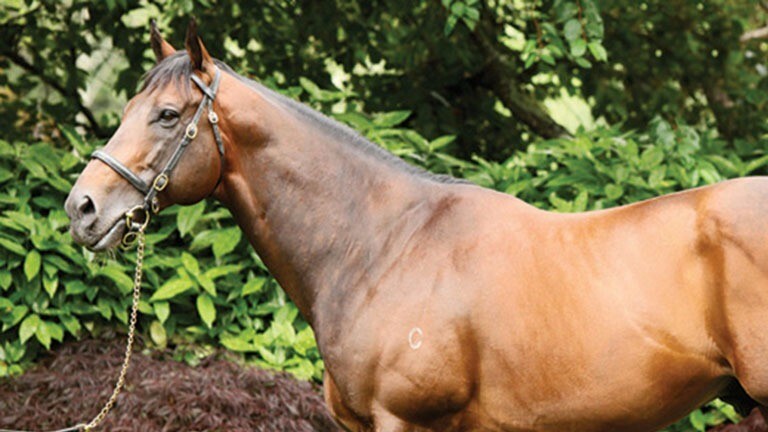 Fastnet Rock is an outstanding breeding talent in his own right – multiple sire championships in Australia prove that – but his role in the northern hemisphere at Coolmore is defined by his priceless value as a worthy outcross for the many high-class mares by Galileo owned by the operation and other leading breeders. Top-level winners Intricately, Magicool, Qualify, Rivet and Zhukova have all shown the cross can be a recipe for success. Some 49 of the 133 mares covered by Fastnet Rock this year – 37 per cent – are by Galileo, including Group 1 heroines Ballydoyle and Galikova. Two others among that book are out of mares by Galileo, while eight are by Galileo's sire Sadler's Wells and nine more are by that other great son of Sadler's Wells, Montjeu. Demand for the nick has intensified since last year, when 16 of the 74 mares covered by Fastnet Rock in Ireland were by Galileo for a ratio of 22 per cent. A flick through the Return of Mares often turns up some intriguing snippets of information on the mares owned by Jim Bolger, the man who has combined the roles of breeder, trainer and owner with uncommon success in recent decades. Last year we learned Bolger had sent around 40 mares – later deprecatingly referred to as 'hope jobs' in an interview with the Racing Post – to Fracas, a son of In The Wings who had given the trainer his Group 3 winner Smash Williams from limited chances. The 2017 edition reveals that Bolger and family members sent around 25 mares to his homebred Dewhurst Stakes hero Parish Hall for the first time this year. Parish Hall is by Bolger's champion two-year-old Teofilo out of a mare by Montjeu, so is inbred 3x3 to Sadler's Wells – Bolger was blazing a trail once again with that mating, as replicating the Coolmore legend in a pedigree has been to the fore this year through Enable and Eminent. 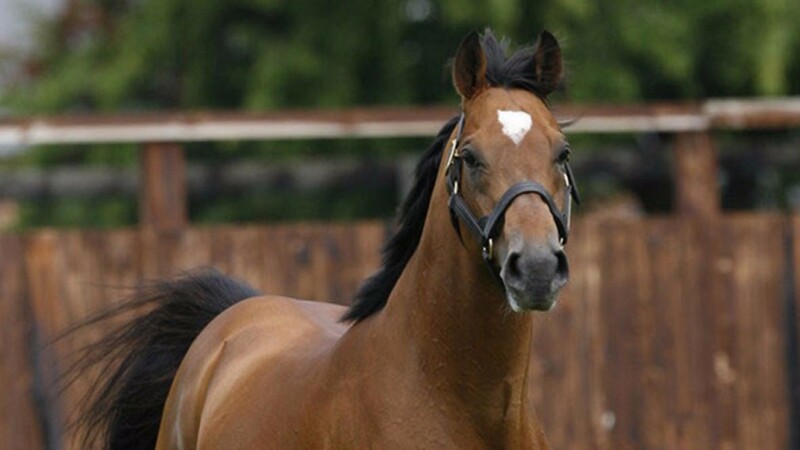 Bolger has not refrained from adding more Sadler's Wells into the mix with some of the mares sent to Parish Hall this year; with Dochas Is Gra and Maidin Moch, both by Sadler's Wells's son High Chaparral, for example. Those matings will result in foals bred 4x4x3 to the late, great stallion. Bolger made no fanfare about the retirement to stud of Parish Hall, but then he also allowed Vocalised to fly under the radar in his early years at stud and is now sitting pretty with several stakes winners – including this year's wide-margin National Stakes hero Verbal Dexterity – by him. There is nothing surprising among the identity of the mares who produced foals by Galileo this year or were covered by the perennial champion sire; it is the usual Group 1 winners and Group 1 producers replete with Group 1 relations. However, there is an intriguing new development among the breeders featured in those lists as, for the first time in a while, the name 'Coolmore' crops up regularly. 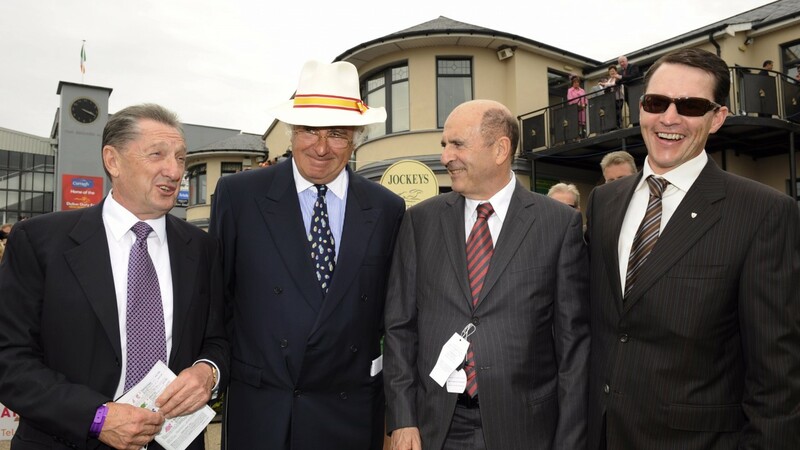 As anyone who follows the bloodstock industry will know, Coolmore horses have in recent years more often than not been bred under various combinations of partners' names and companies, or syndicates recalling the name of the dam. But here in the new Return of Mares are the likes of After, Again, Beauty Is Truth, Bye Bye Birdie, Chintz, Danedrop, Fire Lily, Hazariya, Homecoming Queen, Hveger, Kheleyf's Silver, Laddies Poker Two, La Traviata, Magic Tree, Meow, Moonstone, Mrs Marsh, Remember When, Rosdhu Queen, Sea Siren, Sumora, Tiggy Wiggy and You'resothrilling: all covered by Galileo this year and all owned simply by 'Coolmore'. Winter, for example, had been bred from Laddies Poker Two by the Laddies Poker Two Syndicate, while Churchill, out of Meow, had been recorded as bred by Liberty Bloodstock. Whatever Coolmore's reason for making the change, it will have at least one positive consequence: it had been nigh on impossible to crown a leading breeder each Flat season as horses bred by Coolmore, who would usually rightly be considered the winner, were distributed among different entities. But the operation's achievements should be easier to measure with the new nomenclature.